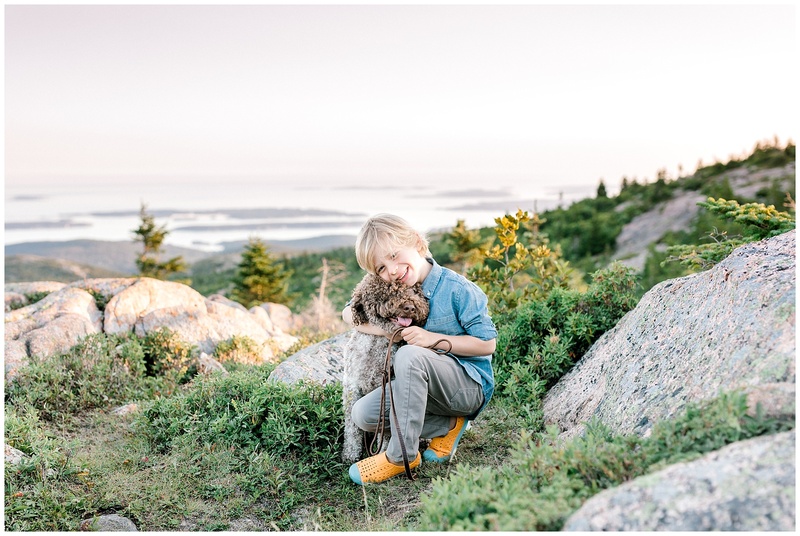 Last year, I photographed over 30 portrait sessions in Acadia! 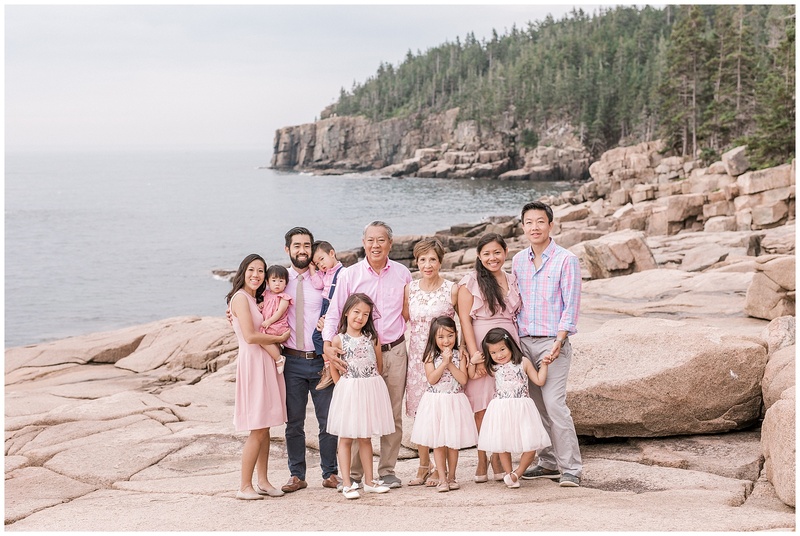 Everything from local family portrait sessions, elopements, engagement sessions, vacationing families, and anniversary sessions! Many clients have me come to their home or vacation rental to do the sessions, which I love! But if they’d prefer to use a public location, I have some great suggestions for them! 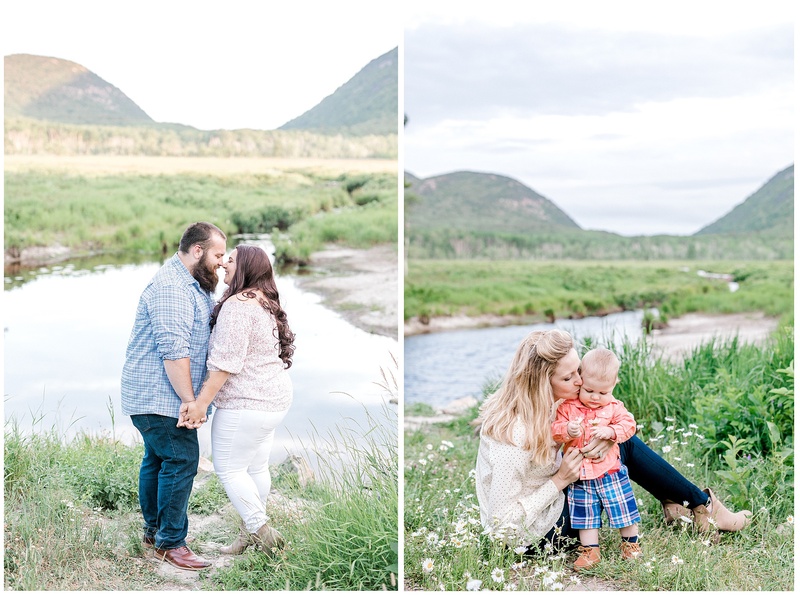 These are my TOP TEN favorite portrait session locations in Acadia National Park! 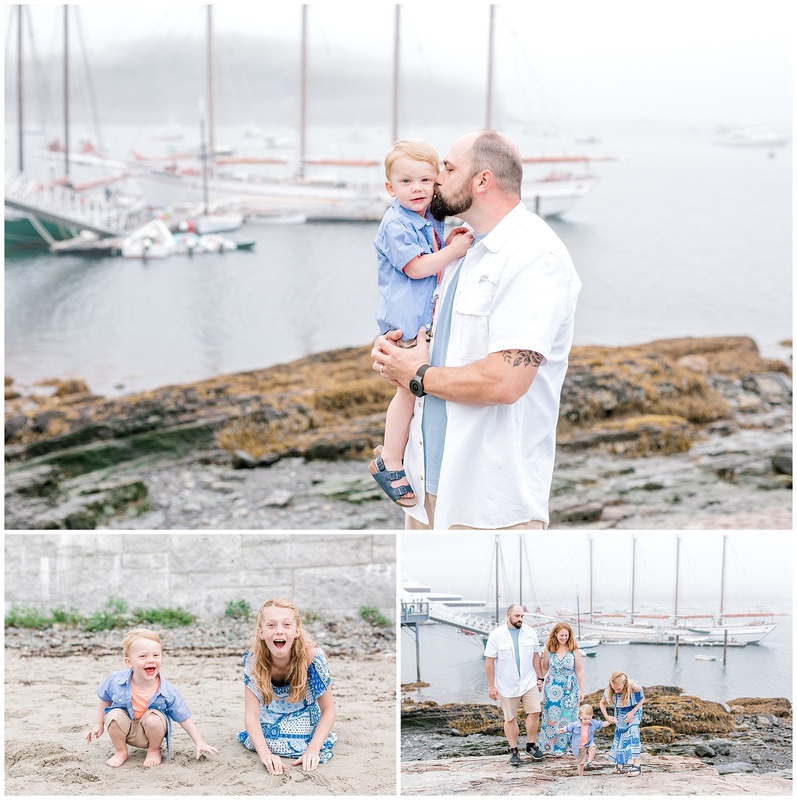 If you’re vacationing in the area, a portrait session is the perfect souvenir to remember your time in Maine with. If you’re getting married on Mt. 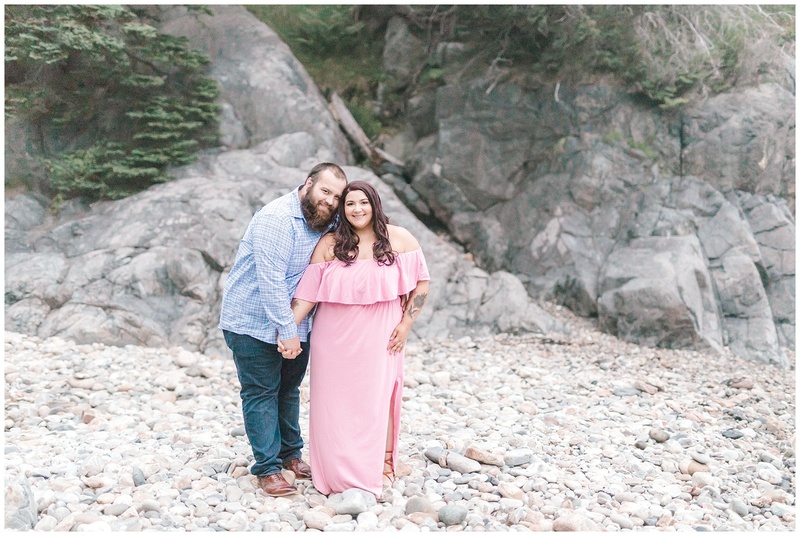 Desert Island, these are some great ideas for where to take your couple portraits on your big day! If you’re looking to stay close to town, this is a great option! There is this huge ship that is often docked here, and it reminds me of a real pirate ship! There’s also a small beach area there that is perfect for throwing rocks in the water and building sand castles! I stumbled upon this picture perfect location on one of my trips to Acadia last summer! This spot doesn’t even have an official name, it’s just one of the many beautiful scenes that you drive by on Mt. Desert Island. 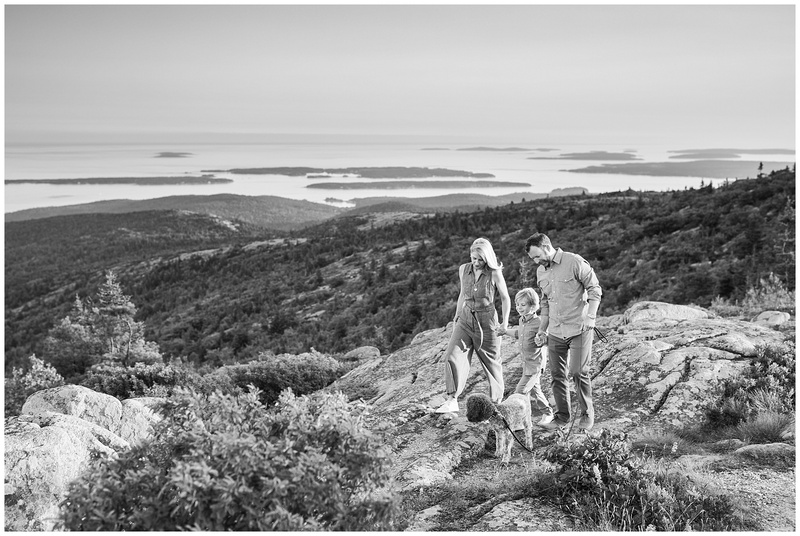 It’s also less than 5 minutes from downtown Bar Harbor, so a great option if you want to stay close to town. It’s right on the side of the road, allowing easy access for anyone with limited mobility. 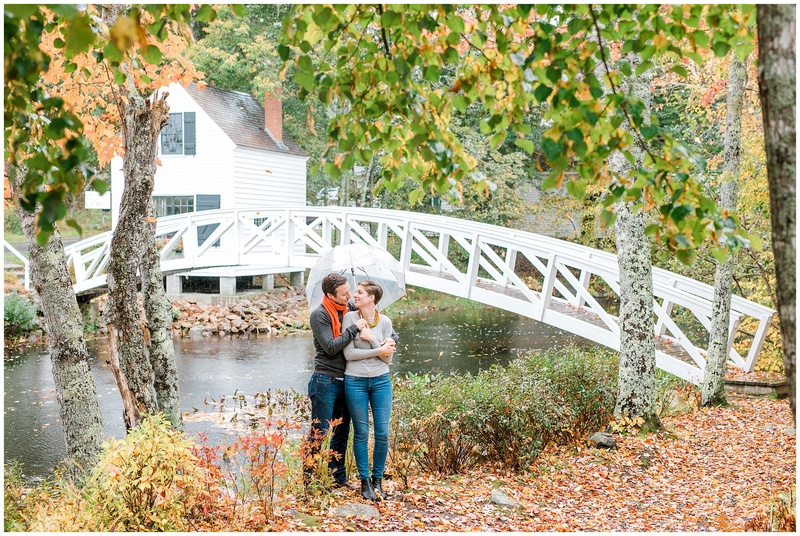 This quaint little bridge has such an iconic New England feel, you can’t help but love it! It looks gorgeous in the Fall, as pictured below, surrounded by colorful leaves! This harbor has a large, flat beach, which is perfect for easy access, and for big families! 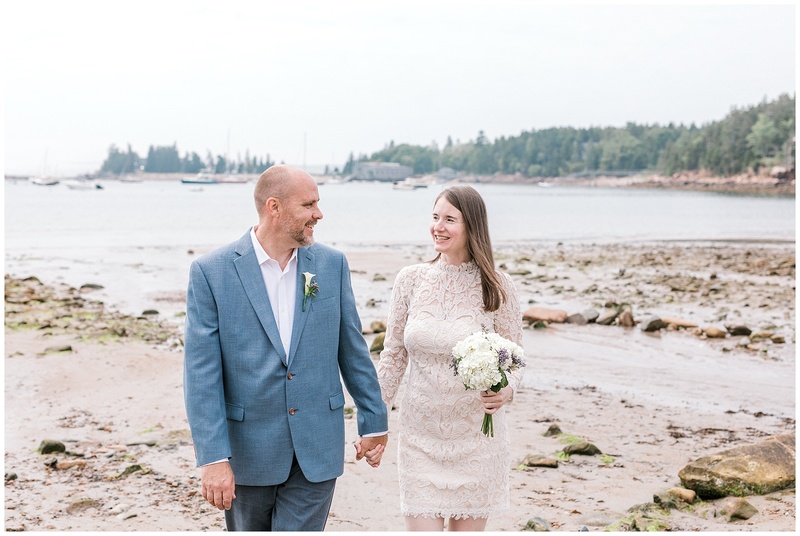 Even on a cloudy day, like pictured below, it provided a beautiful coastal backdrop for this couple during their elopement in Acadia! You can’t visit Acadia without making a stop at Jordan Pond! When the tide is out, you can stand right down in the rock bed! Kids love coming here, because there are plenty of rocks to jump on and trails to run through. Jordan Pond is often pretty busy with people, resulting in parking being pretty tricky during the busy hours, so we’d want to build in extra time for a session here! 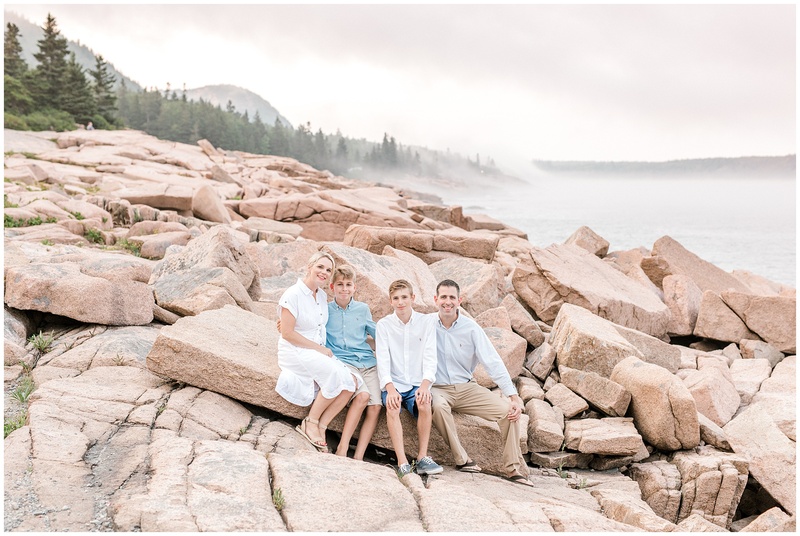 One option would be to come here during sunrise, as this family did pictured above! We were the only ones there, and had some beautiful colors in the sky! 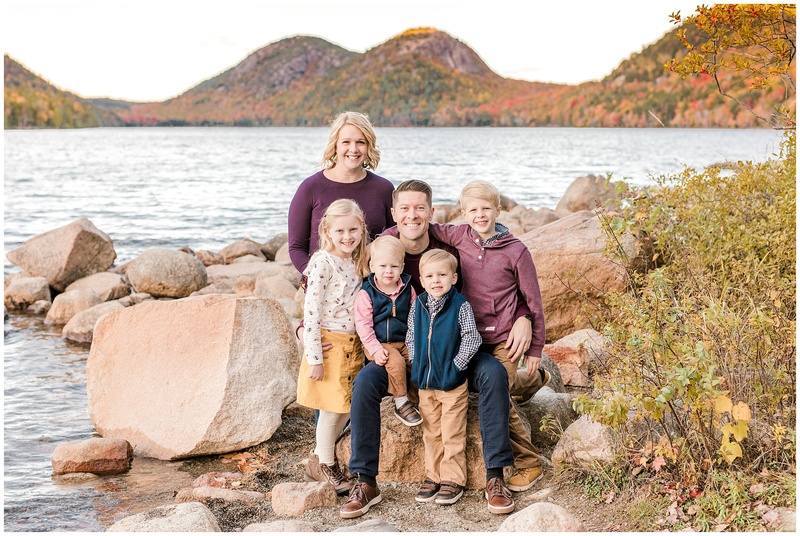 Below, this family had their session at sunset in the Fall, which resulted in some beautiful Fall-colored mountains in the background! This beach is hidden away, and never very busy! 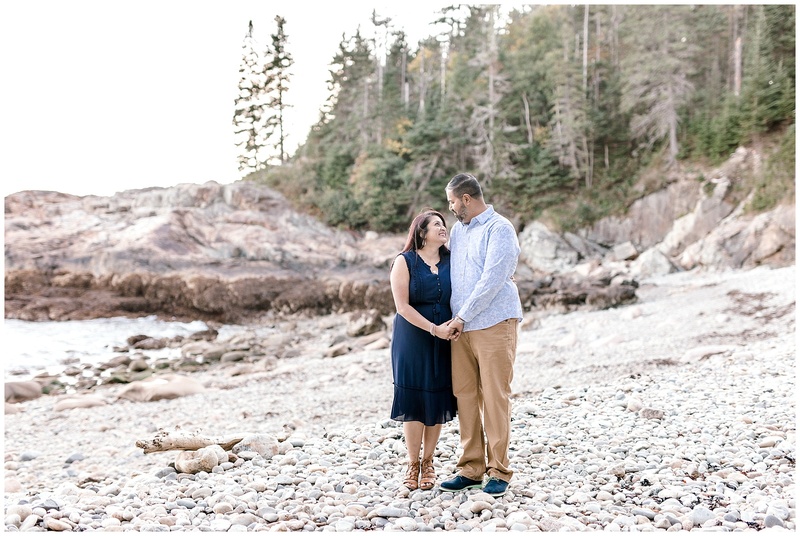 The smooth white rocks make for the perfect reflector – a photographer’s dream! The large rocks are hard to walk on, so it’s not a great option for heels or elderly. There’s also a large staircase to get down here, if accessibility is a factor. This is a long trail through the woods, hidden behind some public gardens in Acadia, not far from downtown Bar Harbor. You can’t get off the boardwalk, so it might be a bit narrow for more than 3/4 people to be in the same picture here. This is a gorgeous spot, one of my favs! 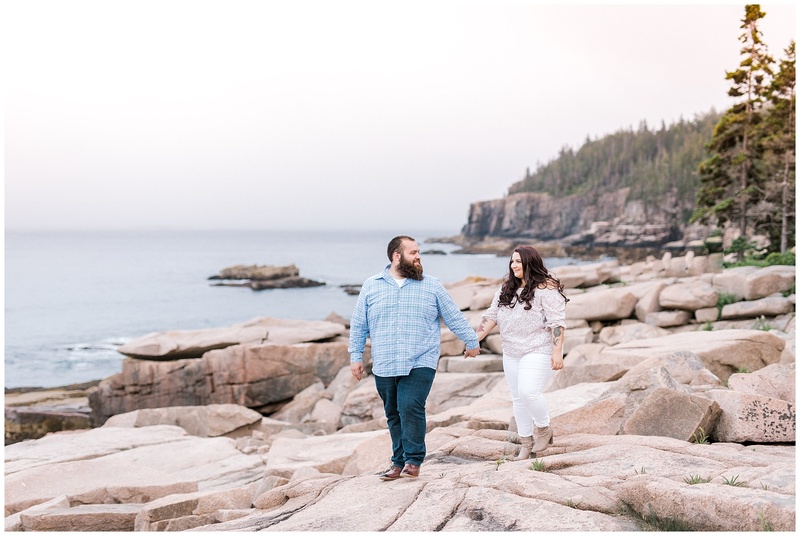 The jagged cliffs against the ocean backdrop is truly stunning! There are a few rocky steps down to this area, and some big cracks in between the rocks, but I’ve photographed plenty of kids and elderly here, so it’s fairly accessible. It can be dangerous though, so you’d want to keep a really good eye on little ones here! 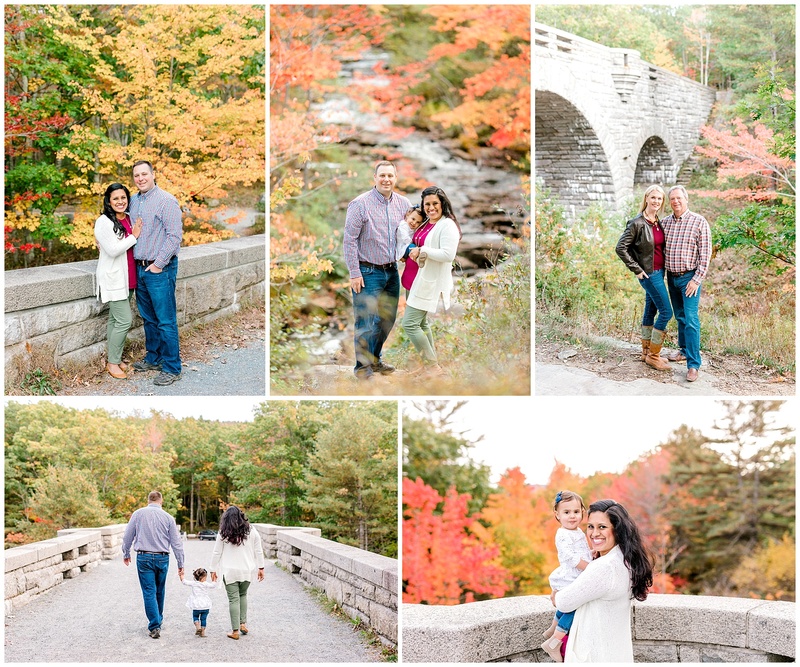 This bridge is a part of the Carriage road, and is so lovely in the Fall! I’d also love to do some Spring and Summer sessions here, as it’s such a beautiful bridge! 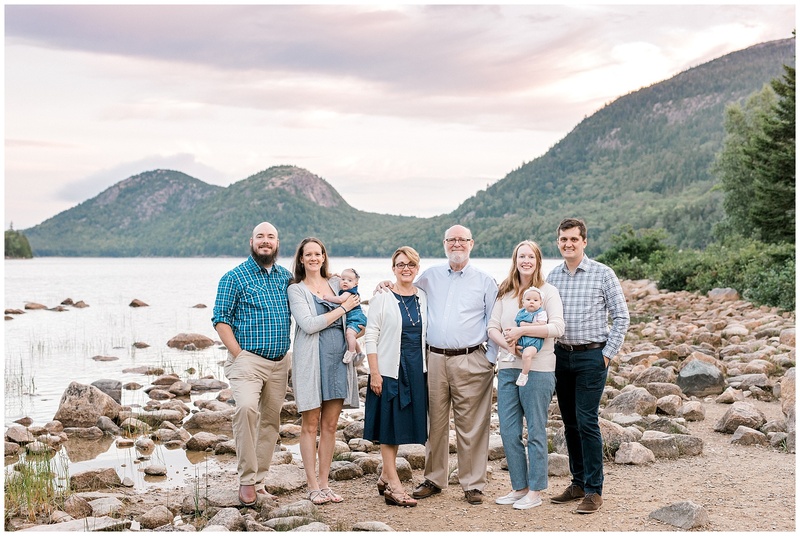 This mountain is iconic and definitely THE place to visit during sunrise/sunset in Acadia! There’s really nothing like standing up on the mountain and seeing 360 degree views of the surrounding ocean and islands! One thing to keep in mind is that this location is weather dependent. Often times it can be VERY windy and/or foggy up here, so we’d want to keep a close watch on the weather and have a backup plan! Also, there are no rails or safety features for kids, so you’d want to keep a very close eye on little ones up here! I’d love to hear from you and share some more information about my session packages. You can inquire with me about a session here!